Raffle Now Open! 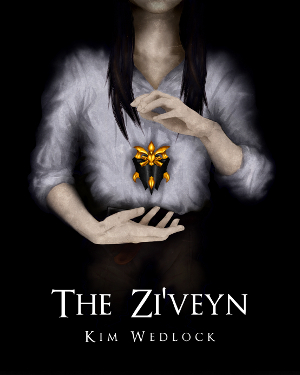 | A Blackbird's Epiphany - UK Women's Fitness and Fantasy Writing Blog: Raffle Now Open! The new woodland necklaces I showed you last week are now being added to my shop! There are only 4-6 of each piece available, and there's a full 10-piece bundle of each, too! But, more importantly, the raffle I mentioned last week for the same prize is also live, with tickets available worldwide both from my shop and my blog via paypal! They also all come with a free digital watercolour print of either a fox, a rabbit or a badger - and more may be added soon! If you purchase a ticket through Etsy, the digital print is available for immediate download, but if you purchase through paypal (button below) you'll have to wait for me to get back to you and email it over via the email address you used for paypal. There are individual Etsy listings for each print - fox, badger and rabbit - and if you purchase through the blog via paypal you can choose your desired print from the drop-down menu. You can also purchase as many tickets as you like - one, three, thirty! The buyer of every ticket purchased on Etsy and through the blog will be written down on a piece of paper and placed in a bag together. If you purchase three tickets, your name will be written down three times. The winner will be chosen at random and contacted on the 4th of August either via Etsy or by their paypal email address, as well as announced on this blog post. Tickets are available until July 31st and are available worldwide, and on August 4th three winners will be announced. The first drawn will win the full 10-piece woodland bundle, while the second and third will each win a fox jar necklace. The winner of the 10-piece bundle can decide if they'd like the pieces to be made into 10 necklaces or left unmounted to keep as miniature decorations. 4-6 of each jar have been made, and as there are only 2 bundles available, the remaining 2-4 of each have been listed in my Etsy shop! You can purchase them individually like you would any other piece in my shop, and the second bundle that was created is also for sale in its entirety for £200, which saves £45 when compared to buying the full set individually! 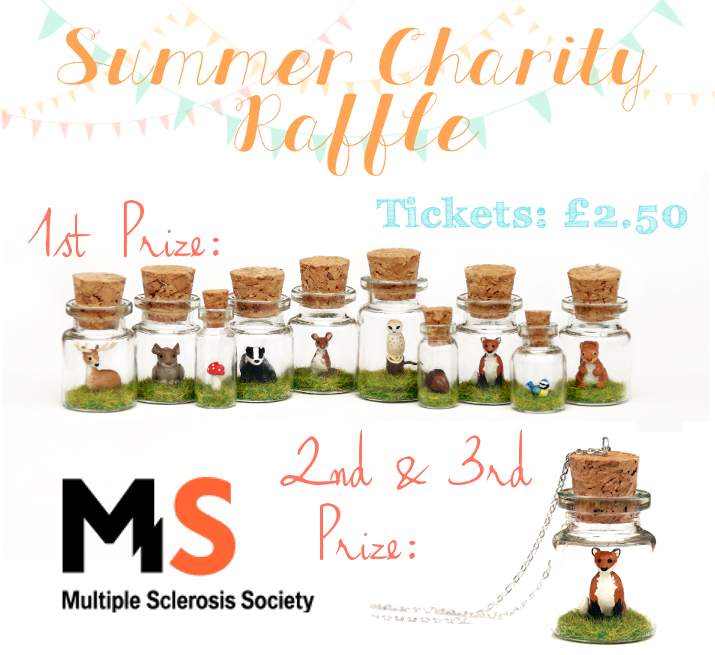 Each necklace or ticket sold will raise money for the Multiple Sclerosis Society, a charity that supports those who suffer from Multiple Sclerosis as well as works to find a cure. My mother was diagnosed when she was 25, and so I've grown up watching her slowly deteriorate. It is a disease that leaves the sufferer incapable of looking after themselves and so affects all of those around them, and I myself am a full-time carer for her. The charity did a great deal to help my mum cope with the disease from the moment she was diagnosed, and they've also been a big help for myself and the rest of my family. It's not easy to watch and it's not easy for us to live with either, and without their support I'm not sure how we'd be coping. Multiple Sclerosis doesn't get the attention it deserves, and because of that, not enough money comes in to support the research needed. Multiple Sclerosis itself doesn't kill directly, not like Cancer. But it can leave people unable to breathe for themselves or unable to swallow, which in itself is a killer, but it does just as bad in another way by stripping people of their identity and independance. Read more on my experience with Multiple Sclerosis here. By buying a raffle ticket, you can help support this charity. You stand just as much chance as anyone else of winning the bundle I've created specially to raise money for this charity, and as every ticket comes with a free digital watercolour print, you don't walk away empty-handed! And if you can, please help me by tweeting and facebooking this blog post and spreading word of the raffle, or, better still, mention it in a blog post. Any help you can give me I'll be happy to return in the future with an event you may decide to host, be it for charity or not!